Beautiful pure-white daffodil. 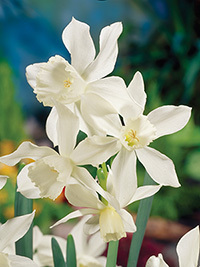 Has very long-lasting flowers and a wonderful fragrance. Mid-season flowering.